Adoption was legalised in Ireland in 1952, since when, almost 45,000 legal adoptions have taken place. It’s estimated the same number again could have been illegal. 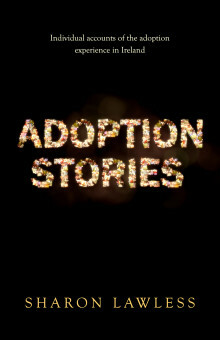 ‘Adoption Stories’ looks at all aspects of adoption in Ireland from the point of view of those who have experienced it firsthand. While adoption is a worldwide practice, it has only been regulated in recent decades. Millions of people are affected by it, yet the facts and feelings are largely misunderstood. Adopting a child gives it the exact same legal status and rights as one who is born to the parents. Equally, it severs all bonds between the natural parent and child, except in blood. It is this physical, primal bond that is exclusive to a mother and her child and when it is broken, nothing can repair it. Even a reunion, while idyllic in concept, can sometimes emphasise the time lost between the memory of an innocent baby and the reality of a fully grown adult. Under Irish adoption law, adopted people and natural parents are prohibited from accessing information about each other; only government-appointed bodies can see the files, many of which contain incorrect information. The law has existed since 1952 and still exists today. Based on the Irish TV series, “Adoption Stories” lets natural parents, adopted people, adoptive parents and siblings tell their story in their own words.